Is it a reindeer? Is it a pony? No! It’s a goat. That’s right, a goat. A bright red goat has come to symbolize Alaska’s finest coffee. Legend has it… that coffee was first discovered by a goat herder named Kaladi living in the land of Arabia Felix. One day Kaladi found his normally tranquil goats very frisky and dancing with abandoned glee near a shiny, dark-leafed shrub with berries. Kaladi soon determined that it was the red berries that caused such jubilation and decided to sample some for himself. He, too, found the berries very stimulating – and it wasn’t long before he was merrily dancing and cavorting with his goats. One day a passing monk from a nearby monastery was astonished to find a herdsman and flock dancing in this elated state and asked Kaladi for an explanation of their strange behavior. The abbot, after sampling some of the fruit himself, immediately felt refreshed and realized that the berries had the exact properties required to keep his monks awake while at prayer. The abbot then combined the berries with water and produced a wonderfully stimulating drink which he thought to be heaven sent. Soon the news of coffee spread throughout Arabia Felix and from there to the world. 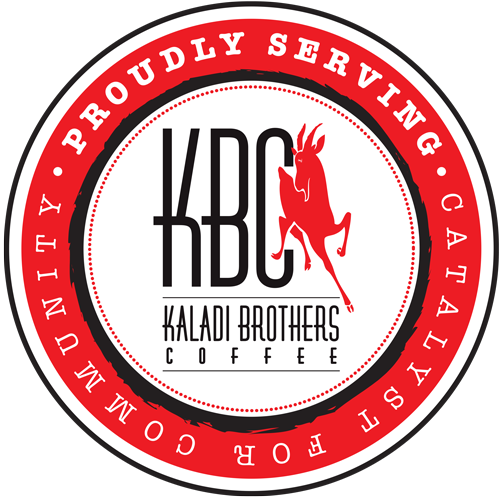 This entry was posted in Kaladi Brothers Coffee and tagged coffee, kaladi, kaladi brothers coffee, the goat.